The question, “what exactly was the extent of Christ’s suffering?,” is often answered by pointing to the physical suffering that he endured. 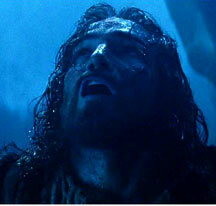 Mel Gibson’s movie, The Passion of Christ, is one such example of the primary focus being placed on the physical suffering, with minimal attention being given to the spiritual, or better said, the cosmic suffering that Jesus endured. Before we go any further, please know that I am in no way minimizing the physical suffering of Jesus of Nazareth, to do so, would be to depreciate the atoning sacrifice that He made through both his physical and spiritual, or as I will refer to it in this series of articles, cosmic suffering, in which we are now the benefactors, both physically and spiritually through Christ’s redemptive power. My goal is simply to shine an illuminative light upon the cosmic suffering of Christ’s passion, an aspect of His suffering that in my opinion, is often overlooked, or less understood than that of His physical suffering. He knew that one of the twelve would betray Him. We can become familiar with the story of the Passover Meal, or as it has now been named, the Last Supper, and thereby miss the agony that Jesus must have felt while dining with his disciples. These were his trusted friends and companions, those that he was entrusting to fulfill his Great Commission via the power of the Holy Spirit, and become his “witnesses in Jerusalem and in all Judea and Samaria, and to the end of the earth.” (Acts 1:8; Matt. 28:18-20) These were his disciples, those who had lived with him for over three years, who had witnessed his miracles; power over nature, healing, raising the dead, etc. Peter, James and John had been privileged to witness the Transfiguration—they knew he was the Christ. (Matt. 16:13-16) And yet, Jesus knew that they would all forsake him in the following hours. It was also considered the height of disloyalty and betrayal to share a meal with a friend before betraying him. 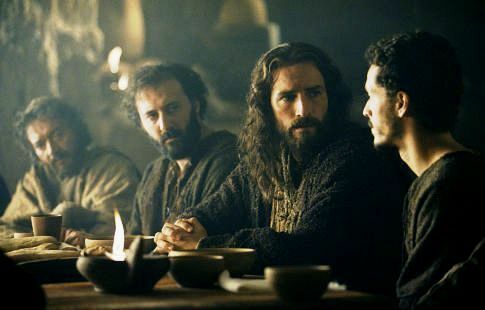 It was a sign of trust and friendship when one sat down to dine with others, therefore Judas’ betrayal was all the more pronounced. In the first garden ‘Not your will but mine’ changed Paradise to desert and brought man from Eden to Gethsemane. Now ‘not my will but yours’ brings anguish to the man who prays it but transforms the desert into the kingdom and brings man from Gethsemane to the gates of glory. The extent of Jesus’ sorrow and anxiety was manifested physically in his perspiring of “great drops of blood”— And being in an agony he prayed more earnestly; and his sweat became like great drops of blood falling down to the ground. (Luke 22:42-44) Although this physical condition is only included in Luke’s Gospel, this is certainly understandable considering he was a physician by profession and would have been more concerned than the other Gospel writers in reporting this detail of the eyewitness accounts of the disciples. It is hard to see how a story such as the Gethsemane prayer could circulate and find its way into the Gospel tradition if it were not based on solid, credible eyewitness testimony. It would simply be too risky for Jesus’ identity if it were not true. It should be noted that scholars date the writing of Luke’s Gospel between the late 40’s or early 50’s AD. Luke makes it clear at the beginning of his Gospel that he has “undertaken to compile a narrative of the things that have been accomplished among us, just as those who from the beginning were eyewitnesses and ministers of the word have delivered them to us.” (Luke 1:1-4) If Luke had used his ‘literary license’ to embellish the Gethsemane account by including ‘bloody sweat’ point, the other disciples would have certainly corrected him for doing so. Luke 22:44 says that Jesus was in agony (Greek: agōnia—of severe mental struggles and emotions, agony, anguish) in anticipation of bearing “our sins in his own body on the tree” (1 Pet. 2:24) There are both ancient and modern accounts on record of people sweating blood, a condition known as hematidrosis, where extreme anguish or physical strain causes one’s capillary blood vessels to dilate and burst, mixing sweat and blood. This condition, hematidrosis, is a rare dermatologic disorder that can occur in an individual subjected to server mental distress and is the result of hemorrhaging into the sweat glands. During the first phase of his journey, in the Garden of Gethsmene, the hematidrosis illustrates that severity of Jesus’ mental suffering, an area that is generally not generally recognized when contemplating His pain. The effects of hematidrosis and the severe anxiety associated with it, are general weakness, depression, mild to moderate dehydration, and mild hypovolemia (low blood and fluid volume) due to sweat and blood loss—all which would have greatly weakened Jesus prior to his crucifixion. Dr. Gerald H. Bradley, M.D. asserts that it involves “causing great weakness”, while Dr. Davis adds that it may produce “possible shock”. During this process, “as a result of hemorrhage into the sweat glands, the skin becomes fragile and tender.” As for the extent of damage, “Jesus’ actual blood loss probably was minimal. However, in the cold night air, it may have produced chills”  Under careful observation, Christ’s condition of hematidrosis can be shown as valid, given the sweat was actually blood. Truly, there is not greater suffering or triumph of love than Christ’s sacrifice for us on the Cross. In part 2, I will address how the cosmic suffering continues after Jesus’ arrest and throughout his trials.